The existing reward & recognition program was geared towards giving higher incentives to those employees who achieved higher targets. This strategy makes good economic sense. Unfortunately this strategy was not getting the required results. If you are wondering why, Behavioral Economics (BE) can easily explain! The organization is a growing ITES setup. The management’s key concern is maintaining the quality of service during this period of expansion. They are experiencing challenges like: a higher than industry standard rate of employee absenteeism and lower than desired productivity levels. The management was keen to innovatively revamp their rewards and recognition program to maintain their edge in a competitive market. The existing reward & recognition program was geared towards giving higher incentives to those employees who achieved higher targets. This strategy makes good economic sense – who wouldn’t want to earn more incentive and a fatter paycheck? Unfortunately this strategy was not getting the required results. If you are wondering why, Behavioral Economics (BE) can easily explain! BE is that branch of economics that studies human decision making. It assumes that we are not always rational in our decision making and that this “irrationality” can be explained by the influence of our feelings. Most people are unaware of this influence as we like to think of ourselves as rational decision makers who consider all possible options and make the best choice possible. People are irrational decision makers. They do not always behave in ways that seem logical to their managers. Research in the field of Behavioral Economics reveals that this perceived irrationality is actually predictable and by understanding which buttons to push, managers can nudge their employees towards achieving organizational goals without adopting an expensive restructuring program or a tumultuous round of lay-offs. By including emotions as a factor in the decision making process we begin to understand that financial incentives have limitations as motivators to perform a given task. In other words, people also give value to “psychic income” i.e. how the boss, the management or the organization makes them feel. This psychic income forms part of the decision processes on how much effort to exert on a task, whether to indulge in behavior that can harm the organization, how to treat co-workers etc. If the workplace gives an employee positive feelings, or psychic income in terms of being valued or being included in important decisions, in addition to monetary compensation, the individual feels more motivated to work towards the organizational goals. For an organization, this implies that managers need to value the emotional needs of employees, in addition to monetary incentives while structuring compensation, rewards and recognition strategies. The problems of lower than expected results and higher than expected absenteeism tend to arise because managers assume that money is the main, and in some cases only, motivator for their employees. The fact that there are non-monetary motivators at work tends to get overlooked in the realities of doing business. The managers needed to find out what these motivators are and how to use them to nudge employees in the desired direction. Working in groups or teams is important to people because they significantly value close ties with co-workers. Forming social bonds with team members leads to positive emotions and feelings towards the group as well as the organization. Team members as a social group have a significant influence over each member’s behavior. This influence can be positive or negative depending on the social norms or rules for behavior, set by the team. Employees are concerned with their social identity within the group. They will tend to conform to the norms of their group to enhance a positive social identity within the group or their own self esteem. 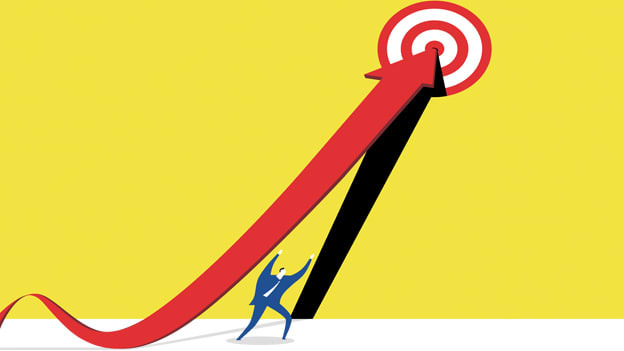 By fixing a team targets and incentives, all team members are responsible to achieve the target. Any member indulging in behavior which harms the group - remaining absent or being away from the workstation for long periods - is liable to be sanctioned by the other members. Being sanctioned by other team members is considered a “loss” of social standing within the group. Offending employees will tend to refrain from such behavior in future. Recognition within the work group is important to employees. People tend to be more concerned about not only the amount of money they receive but also their relative standing compared to others within the group. So, people prefer achievements that are validated, recognized and valued by other people. A minor change in designation signifying seniority, a chance for junior employees to have one on one interaction with management members or awards at companywide functions can go a long way in motivating employees, without much expense to the company. People value fairness and they intuitively follow a policy of reciprocity in their interaction with others. If you are good to me I’ll be good to you and vice versa. This sense of fairness is the MOST important determinant of good company morale. This means that punishment of unethical behavior does not necessarily crush positive effort reciprocation or discourage effort. A management or team leader perceived as unfair can encourage undesirable behavior. When people experience emotional distress from being treated unfairly or seeing others receiving disproportionately (un)favorable treatment, they feel distressed and relieve this distress by modifying their work related inputs and outputs and this can lead to poor performance. The effects of perceived unfairness can be strong enough that they may lead employees to hurt the organization. A leader or manager, who is seen as enforcing the rules without favoritism and consistently, instills a sense of justice and fairness among employees. Feelings resulting from unfair treatment of co-workers, receiving recognition for a good performance and working towards team goals, all act as contributors to the employees psychic income and therefore become significant influencers in the employee’s decision making process. The wonderful thing about psychic income is that the employee’s experience of all these factors is within the management’s control. And it wouldn’t cost the company much to change the related policies to nudge employees towards achieving the desired results. The subsequent program designed & implemented in this ITES organization was a roaring success with individuals and groups actively participating in the process. We also observed interesting individual & group behaviors which ensured that they stayed glued to the targets – a boon in an industry which thrives on targets. This did help in reducing absenteeism, reducing attrition while also increasing the overall productivity. Based on this particular experience we are emboldened to make use of behavioral economics theories in organizational context and are sure that combining traditional management techniques with insights from BE would surely bring better perspectives and results. We all make various decisions everyday and if the choices are organized & presented in a particular manner those decisions/choices can be influenced positively to create a win-win situation in an organizational context. Ashlesha Swaminathan is the Director at Subliminal Ideas.